In this section you will find some EQ & filter plug-ins I created mostly as examples for the Delphi ASIO goo& VST open source project. Have a look at the source code or contribute to the project and modify all the plugins. This sub-section features some EQs and other Filter-Plugins. The order is more or less alphabetic. A light and open source version of my plugin Bugpass. The filter kernel is significantly shorter. This results in less steep filters, but also in a very low CPU usage of only around 0.5% at least on my machine. 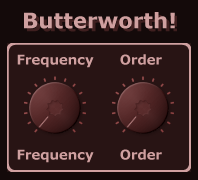 Butterworth filters are designed to have a frequency response which is as flat as mathematically possible in the passband. This implementation features a simple lowpass & highpass filter with adjustable order. 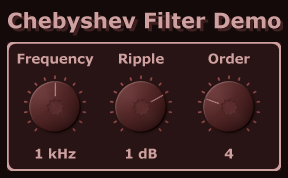 In contrast to the Butterworth filters, Chebyshev filters have a steeper roll-off and more passband ripple (type I). They have been designed to minimize the error between the idealized filter characteristic and the actual over the range of the filter at the expense of ripple in the passband. Not yet entirely finished convolution based reverb/FX processor. The impulse responses are preconfigured and there are yet not many ways to manipulate them, but it’s fun anyway! A version using CUDA for convolution is also available on request. For a thread in KVR I once made another very simple Linkwitz-Riley crossover. It is GUIless and allows to split the incoming signal frequency-wise onto two channels. This makes it easy to use in modular hosts, where as it might be less user friendly in a typical host. Like the plugin above, this ‘Linear Phase Frequency Crossover’ is also meant especially for modular hosts as it does not feature a dedicated user interface. In contrast to the above plugin this uses a linear phase filter kernel optimized for maximum steepness at a fixed latency. Simple linear phase filters, available as high- and lowpass. 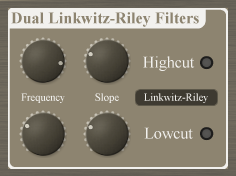 Based on the filters above these filters have a linkwitz-riley characteristic. NOTE: Since the accuracy of the characteristic depends on the available filter kernel length, this plugin can only be tweaked in realtime without clicks, if the host supports dynamic delay compensation. 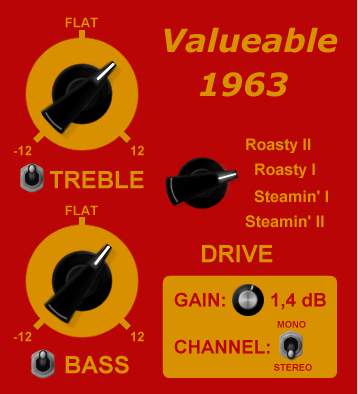 This plugin is a sampled recreation of Tritone Digital’s Valve Tone EQ. It is completely written from scratch and no code/images were taken from the original plugin other than the impulse responses. However, since the IRs were only 16 Bit and slightly disordered, they have been sorted, cleaned and extrapolated in order to make it somewhat softer. 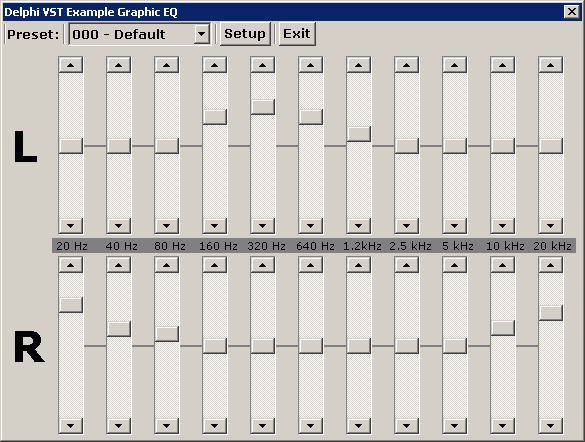 It has the limitation to work at 44.1 kHz and the GUI is more ugly than the original one. So don’t hesistate and buy the original if you like this plugin. As a “me-too” plugin it may only be used in non-commercial projects! 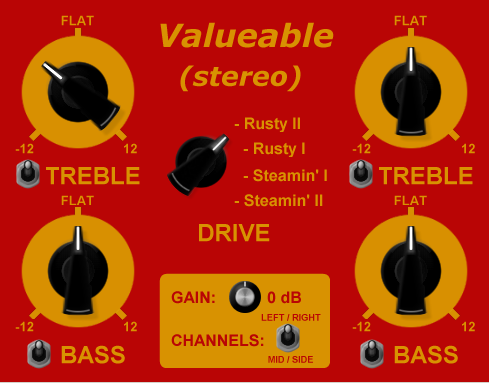 To enhance the above mentioned Valueable EQ plugin, I created a stereo version with independent L/R or M/S processing. As a “me-too” plugin it may only be used in non-commercial projects! It’s more simple and was made as an example for the open source project. Since it is a “me-too” plugin it may only be used in non-commercial projects.